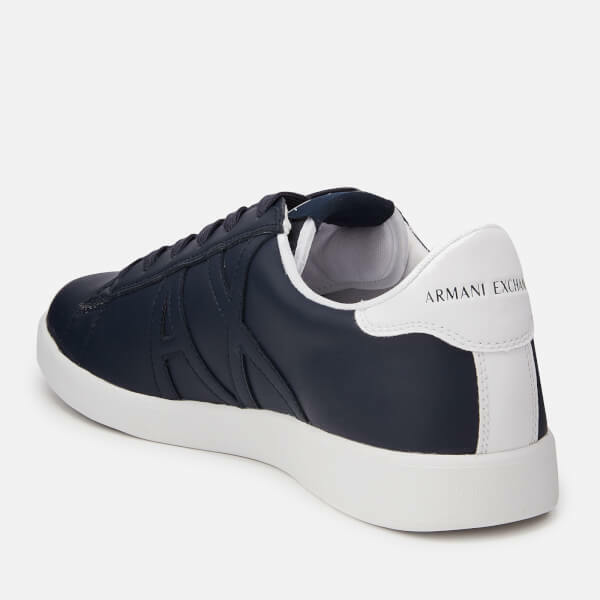 Men’s navy low top trainers from Armani Exchange. 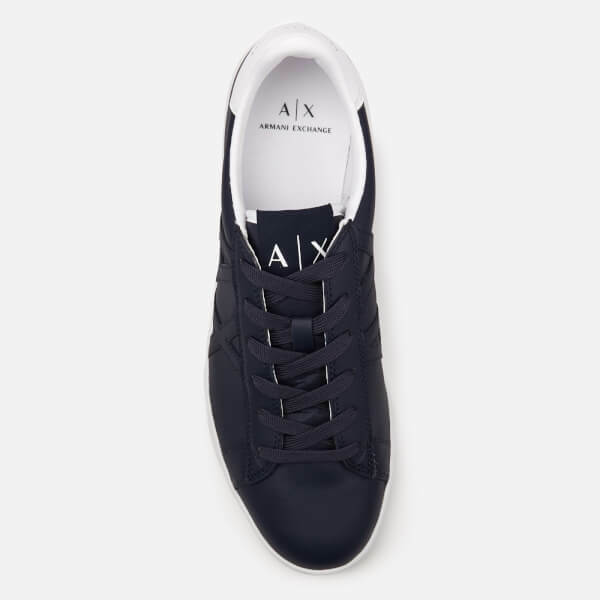 Crafted from faux leather, the sneakers feature a round toe design with a lace fastening and tonal ‘AX’ detail to the sides. 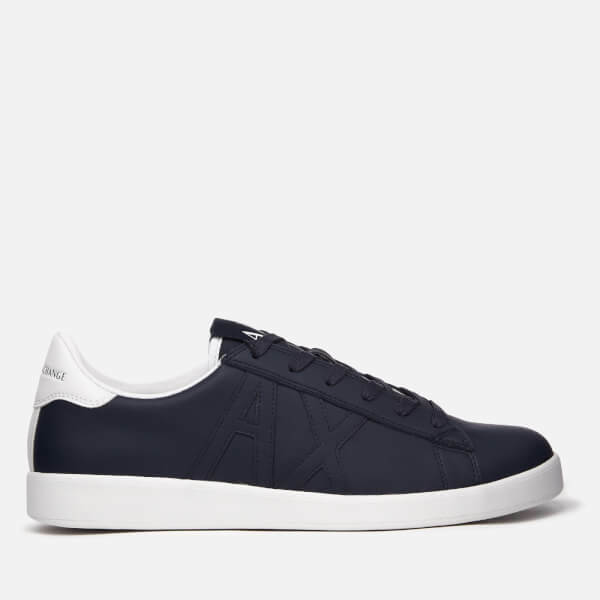 The trainers sit on a white rubber sole with a textured outsole for added traction. 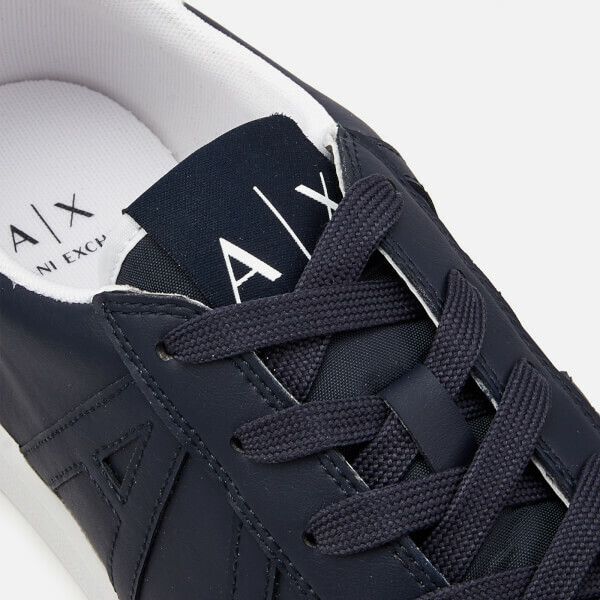 Complete with contrasting white logo detail to the heel, an AX logo patch on the tongue and a breathable mesh lining. Upper: Synthetic. Lining: Synthetic/Textile. Sole: Rubber.